6in, 1080 x 1920 LCD screen, 64/6GB RAM, Quad-core Snapdragon 1.95GHz 653 CPU, Adreno 510 GPU, 16MP rear and 16MP front cameras, microSD/dual SIM slot, microUSB, Android 6, 4,000mAh battery, 164 x 81 x 7mm, 185g. Full specs here. Oppo’s R9 was a middling phone for a middling price. The more recent R9s, however, was one of the best-looking phones we’d ever seen. It could feel a bit slow and had foibles like poor shutter lag, but was still a great value buy. Now we have the R9s Plus which is the oversized, supercharged version of the supercharged version. And it looks like many of the foibles have gone. We received the white-and-gold variant which looks very good (and very similar to an iPhone). There’s also a jet black variant which, if it’s anything like the R9s we reviewed, will be a great-looking Yin to this Yan. Oppo bundles in a great, silicon case which doesn’t just offer better protection and grip but lets you see the phone's chassis beneath. It doesn’t make the (already-large) phone feel too bulky. 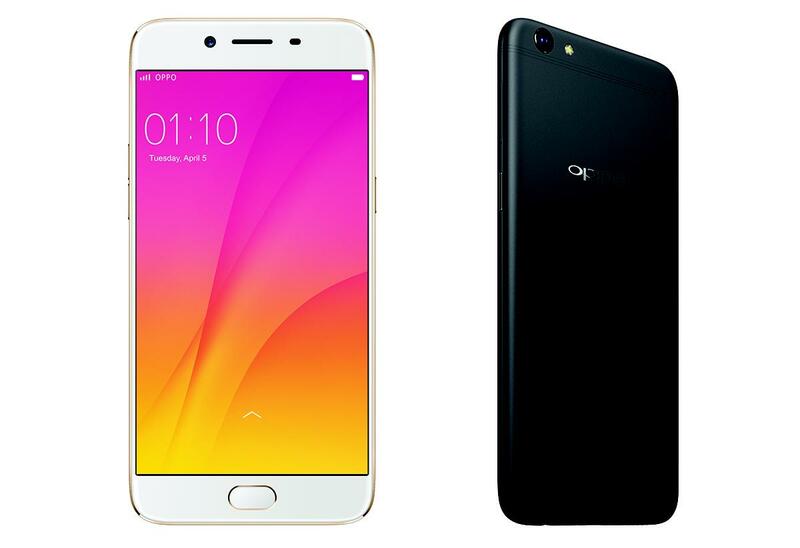 Both variants of the Oppo R9s Plus look very attractive. While competitors have been edging away from a full 6-inch screen, Oppo has gone the whole hog and embraced it. Yet the device feels the same size as other recent flagships: HTC’s U Ultra, Huawei’s Mate 9 and the Google Pixel XL. The screen is a straight, Full HD LCD affair. Some may miss the Ultra-high definition, colour-popping AMOLED screens seen on competitors but for general use and photography we had no complaints – especially as this type of screen tends to boost battery life. The first thing you notice is the speed of the (beneath-the-screen-mounted) fingerprint reader which, like the R9s, feels impossibly fast. The Operating System is Oppo’s Color OS 3 which sits atop Android 6 – it makes its presence felt far more significantly than other launcher environments. While some may roll their eyes at the older version of Android, Color OS adds some attractive features. It runs regular performance tune-ups to flush the memory and keep things ticking along nicely. There's also a file-locking feature which usefully allows you to secure important work files, apps and nudie pics so that you can confidently pass your phone to friends/family/kids knowing that they won’t see things they shouldn’t. It’s worth remembering that many of these features can be added as third-party apps to other Android phones, but here they’re all integrated and less likely to interfere with each other. One of the noticeable improvements over the smaller Oppo phones is performance. While the Snapdragon 653 chipset isn’t Qualcomm’s fastest, it is latest-generation and more power-efficient than it’s ‘superior’ siblings. Combined with a massive 6GB of RAM, we actually struggled to detect much lag at all. Everything launches essentially-instantly including the camera. As we’ll see below, the combination of the chipset and Color OS means that battery life has been enhanced and the camera’s shutter lag has gone. In terms of audio, the microphone is very good at capturing crisp and clear sound. The speakers get loud and offer some impressive punch both with treble and bass (for a phone). It makes a decent conference call unit. All in all this feels like one of the fastest phones around and we’re impressed. Oppo includes a massive 4,000mAh battery which, along with the Huawei Mate 9, is one of the largest on the market. However, for various reasons including a power-hungry camera and faster processor, Huawei’s battery still doesn’t last much more than a day without charging. Meanwhile the R9s Plus very nearly lasted for two days under heavy usage. With Oppo’s Color OS power management, we wouldn’t be surprised if it more-easily did last for two full days as time goes on. During testing we took many photographs, did a great deal of web browsing and social media and also some navigation. While we have seen better performance from some older phones, this is the best from a current-flagship model. It means that if you need a top phone for work this should be high up your list.